In rural America today, more than one in seven residents lives in poverty. Poverty's causes are a complex interplay of individual characteristics and decisions, on the one hand, and the nature of the communities and economies in which people work and live, on the other. 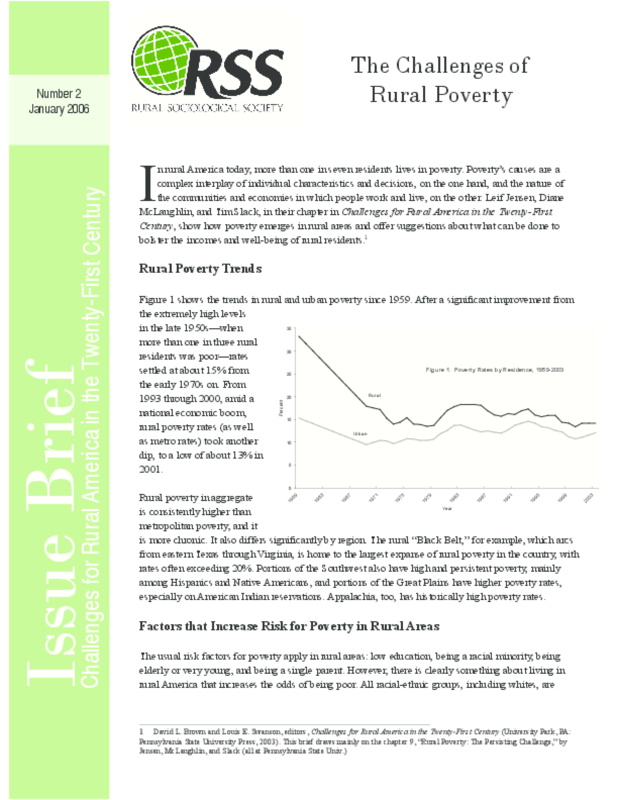 Leif Jensen, Diane McLaughlin, and Tim Slack, in their chapter in "Challenges for Rural America in the Twenty-First Century", show how poverty emerges in rural areas and offer suggestions about what can be done to bolster the incomes and well-being of rural residents.